The Kansas City Metro area is located in a region known as Tornado Alley, a part of Kansas City where warm and cold air collide to create powerful storms that have the potential to wreak havoc on nearby properties. During the spring the region experiences intense tornadoes and rainstorms, along with ice storms in the winter. These extreme weather patterns can create significant water damage to homes and businesses in a brief amount of time. 911 Restoration of Kansas City Metro are available 24/7/365 to provide emergency flood cleanup services to property owners throughout the area, including Overland Park and Springfield. Their technicians understand how crucial it is to dry out a basement after a flood immediately, so they guarantee a 45-minute arrival time when you call in need of water damage repair services. 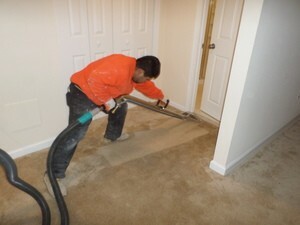 Property owners can trust in our ability to clean up water damage and implement carpet drying services due to the many years of experience we have remediating home floods during the storm season. Our IICRC certification further helps customers peace of mind knowing that we have undergone a rigorous training process to give property owners the best water restoration services possible. When basement flooding occurs, call the emergency water removal team, and they will provide you with the same-day services needed to help you make a full recovery. 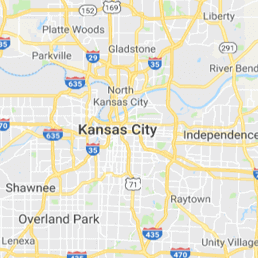 Many properties in the Kansas City Metro region have basements that are susceptible to becoming flooded when a tornado whirls through the area. The water damage created by the flood not only affects the structure, but it can ruin any items you had stored in the space. By hiring the water damage repair techs, you will have a better chance of recovering your possessions and limit the amount of structural damage done to your property. We will pack-out your basement and assist you with storing your items, allowing us to better dry out the basement after a flood. The technicians will use fans to dry out water damage, which also helps prevent mold growth. If there is water damage on sheetrock in your basement, you can rely on the water restoration specialists to remove and replace the walls. 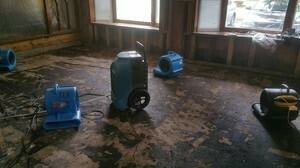 By offering this full-service restoration effort, we hope to keep your basement a safe, dry environment. Call 911 Restoration of Kansas City Metro when you need water cleanup in your basement or any other part of your property, and we will ensure that you receive the care and understanding you deserve. 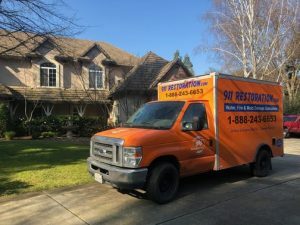 The flood damage cleanup crew knows that mitigating water damage to your home or business is about so much more than merely extracting water and providing dry-out services. The restoration process is also about making sure that the property owners in Kansas City Metro are taken care of and informed every step of the way. Water restoration rates can be overwhelming, especially if you have never had to deal with water damage before. By providing property owners with free visual inspections and estimates, we hope to make the water damage restoration process as seamless as possible. Whether you decide to go through an insurance company or pay us out-of-pocket, we vow to work with you to provide you with the most affordably priced, flood cleanup services. The highly trained technicians at 911 Restoration of Kansas City Metro care and understand your needs. Call us when you need emergency water removal in your home or business, and we will turn your flood damage into a fresh start!